We work on behalf of our members to foster growth, best business practices, and a sense of community. The Chamber works to provide new opportunities to our members. Membership has it’s benefits! Join our network of local businesses, providing great customer experiences & amazing service. Make new connections and find new ways to expand. 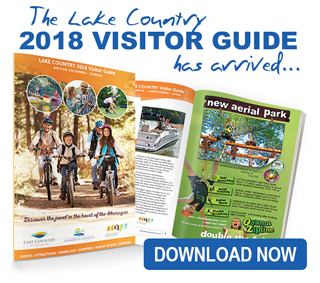 If you’re looking for a reliable resource to find a product or service in the Lake Country area, look no further. Our Member’s Directory will help you find what you’re looking for. Check here for upcoming events! From trade shows, to community events, and luncheons with speakers we organize and support many functions to engage our members & community. Our Chamber leads the way in policy reform to support businesses and business development, in a municipal, provincial, and federal capacity, the chamber is here to be your voice. Join us for another exciting Business After Hours event in April! Admission includes 2 glasses of wine and appetizers. Don’t miss this April Business After Hours event! To manage, update your directory listing, and membership click here! I’ve noticed a huge change in the business mixers with higher attendance and a better sense of ‘community’. I’ve invited other business owners and they have been really impressed. My business is growing nicely with support from the Chamber office, events and volunteering in the community. I’m excited about the new website. Thank you Kim and Chamber executive for being so progressive in growing the chamber and creating more awareness of all it offers.